A date and time picker. 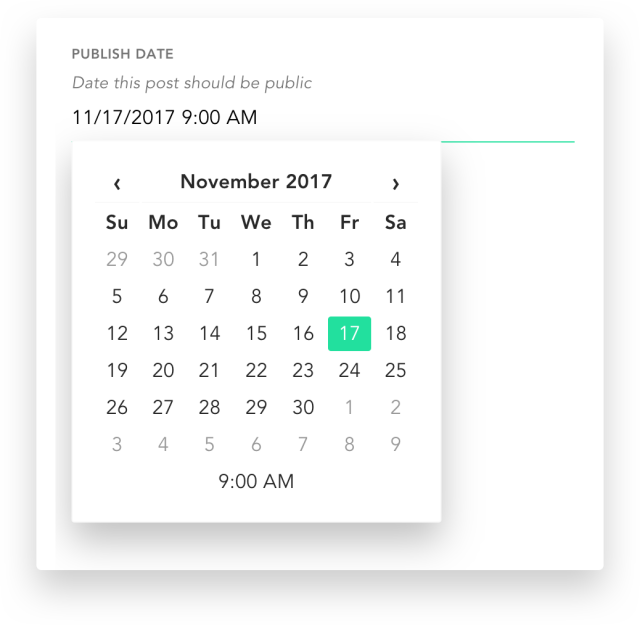 Date Format — how the date should be displayed in the editor. Time Format — how the time should be displayed in the editor. Display UTC — activating this option will display the date in UTC regardless of user’s locale settings. Default — supply a default datetime. Use ‘Now’ As Default — Apply the current date and time as the value for new documents. The date_format and time_format fields can be configured using Moment.js tokens.